"Cascadia" by Holly Larson. 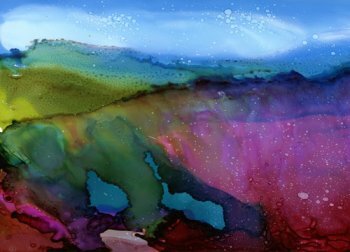 This is a print of a painting made by pouring alcohol ink on Yupo paper. The print image is 5" x 7" matted in a white 8" x 10" mat.